Australia is a faraway country and many readers of New Directions are likely to conclude that ecclesiastical battles raging in the antipodes are of little significance for Anglicans elsewhere. Sydney is famous for being unlike any other diocese in the Anglican Communion in its monolithic tradition of conservative evangelicalism. There seems no reason to suppose that trends appearing there are going to have any impact in Southwark or Massachusetts. My own belief is that the two rows that have recently broken out in the Australian church are of immense importance for Anglicans everywhere. Both disputes raise important questions about authority in the church that need to be faced honestly and realistically if the Anglican Communion is to survive. Attempts by evangelicals to advance the cause of lay presidency have sparked the current Australian crisis. Archbishop Rayner has referred the matter to the church’s highest court, the Appellate Tribunal, for a decision. In retaliation 25 members of General Synod from the Diocese of Sydney have in turn referred a number of practices in widespread use in the church such as the reservation of the Blessed Sacrament and prayers for the dead to the Tribunal. At the same time it has just been revealed that deacons, both male and female, have been celebrating the eucharist in the Diocese of Armidale, almost certainly with the knowledge and probably with the approval of the bishop. The attempt by the Sydney representative to get a ruling from the appellate tribunal on practices in current use in the Australian Church is the first time the tribunal has been asked to make a decision on such issues. In the past it has only been asked for an opinion on constitutional innovations (such as the ordination of women). To widen the tribunal’s scope in this way is to assign it almost unlimited powers over the life of the church. Where are we to stop? If the tribunal is to be requested to rule on prayers for the dead today, why not on the failure of clergy to recite their offices in public tomorrow? Developments in Armidale are probably much more worrying. The practice of deacons presiding at the Eucharist has apparently been going on in that diocese for some time, but it only came to light when members of one congregation, who thought their minister was already a priest, were surprised to discover that he was in fact just about to be ordained to that order! In their astonishment they demanded to know why a deacon had been allowed to celebrate Holy Communion for them. The bishop of Armidale, Peter Chiswell, and most of his clergy are firmly in the Sydney tradition, but a remnant among the laity retains the high church beliefs that once held sway in the diocese. No decision has been made in synod to allow deacons to preside at the Eucharist and the action taken to permit such a development was clearly highly irregular. Already there have been calls for Bishop Chiswell to resign from the Appellate Tribunal and it seems disciplinary measures of some sort will be called for if the Anglican Church of Australia is to retain any kind of credibility at all. What interests me, however, about both these two controversies is the light they shed on the ecclesiological consequences we now face from the hasty way in which the decision was taken to ordain women as priests. In Australia, as in the Church of England, this innovation has caused immense bitterness. The feeling has grown up in Sydney and elsewhere that if the liberals can score a victory on this issue than evangelicals are entitled to get their way on other debated topics. Henry Chadwick has written that in the areas of Bible, Creed, Sacraments and Ministry “the church understands herself to have received divine gifts (as in Ephesians 4), dona donata, touching the deepest roots of Christian existence and therefore needing to be handled with sensitivity.” (see his collection Tradition and Interpretation page 17). As a result the Church becomes prey to warring groups of parties each campaigning on one particular issue, ready to form tactical alliances but really little interested in peace and welfare of the Church as a whole. The situation in the Church exactly parallels the conclusions Anthony Thistleton draws about the impact of Post-Modernism in the secular world. He describes the dissolution of society into feuding interest groups based on gender, social class or ethnic profile and concludes “a breakdown of trust in virtually all governments whether democratically elected or not, has become a hallmark or the mid-1990s” (see Interpreting God and the Post-modern Self, page 131). The next big row in the Australian church will probably be over homosexuality. Radicals like Dr. Muriel Porter are calling for a major U-turn in church teaching in this area. If Dr. Porter and her friends are successful, the fallout is likely to be even greater than over the ordination of women. No less a figure than John Stott told the Readers of Christianity Today in January of this year that this is an issue which could force him to leave the Church of England. The Eames Commission has placed great stress on the concept of reception and with much of what it has to say on that topic I am in full agreement. Unfortunately the commission has never looked at the question of at what stage it becomes appropriate in the church to introduce an innovation and propose it for reception. The view seems to have grown up that virtually any change can be tried out to see if it is received by the body of the faithful. Such an approach to development is a recipe for chaos, as one group presses for lay presidency, another for gay marriages, another for animal rights and yet another for changes in the canon of the New Testament to admit the Gospel of Thomas or the Gospel of Peter, and each group goes ahead and puts its proposal into practice to see if it meets with reception by the Church. An ecclesiology invented to permit the ordination of women to pass with some semblance of good order has in fact opened Pandora’s box. Anglicanism is now in danger of fragmenting into a battlefield of warring interest groups with few people concerned to guard the unity of the church or preserve genuine communion. Koinonia remains a concept much discussed but rarely put into practice. 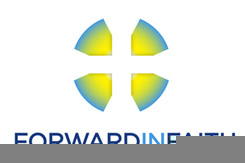 Paul Richardson is Bishop of Wangarrata in the Province of Victoria, Australia.